With only a 10% chance that the European Fiscal Compact will be ratified in its current form by all 12 contracting parties before the end of the year, the Eurozone crisis is deteriorating by the day. The market’s estimate of the probability that at least one country will announce it will depart from the Eurozone before 1 January 2013 has increased 9 points since Friday and now stands at 48%. If any country does depart, early trading suggests that Greece is most likely with a 46% probability (up from 38% last week). Greece now has an 84% (up from 74% last week) probability of a new legislative election before 1 August 2012, with now just a 4% probability that a successful coup d’etat will occur before 1 August 2012. In Germany, elections are expected to be held in Q4 of 2013, with the likely victor being the Social Democrats replacing Angela Mekel’s centre-right government. Elsewhere in the world North Korean dictator Kim Jong-un looks safe until at least 2020, and there is a 48% chance that the Korean peninsula will remain nuclear-test and conflict free in 2012, there is only a 40% probability his regime will detonate an atomic device in 2012. a 35% chance that North Korea will carry out a border incident in 2012, a 5% chance that North Korea will bomb South Korea in 2012, likewise a 5% chance that North Korea will use nuclear weapons against South Korea in 2012, and just a 2% chance that North Korea will invade South Korea in 2012. World growth expectations for 2012 have remained steady at 3.20%. In Australia, Prime Minister Julia Gillard appears doomed even prior to the next election, despite the tax cut package in this week’s Budget. She is now expected to depart (62% probability) as the Labor leader before the next Federal election though she’ll stick it out to at least 1 July 2012. Liberal Party challenger Tony Abbott is expected to stay as leader of his party (63% probability). First preference expectations remain Labor 37.0%; Liberal 31.0%; Greens 11.9%; Queensland Liberal National 10%; Australian National 6.5% and Family First 4.7%. On a two-party preferred basis, the Coalition is forecast to win 51.7% of the vote and Labor 48.3%. Overall, the Coalition has an 83% probability of forming the next Federal Government. Trading now indicates that the next Federal election will be in Q2 of 2013. Catherine, Duchess of Cambridge is forecast to be expectant with an heir to the British, Canadian, Australian and New Zealand thrones in 2013, while Charles, Prince of Wales is expected to be New Zealand’s head of State by 2020. New Zealand is forecast to remain a monarchy, while Australia is expected to announce its intention of becoming a republic by 2020. Chinese growth expectations are now 1.98% for Q2 2012, 2.16% in Q3 2012, and 2.16% in Q4 2012. Early trading suggests the Australian economy will grow by 0.36% in the March 2012 quarter, 0.42% in June quarter, 0.42% in the September quarter, and 0.42% in the December quarter. Inflation is expected to be 1.55% for the March quarter, 2.05% in the June 2012 quarter, 2.00% in the September 2012 quarter and 2.05% in the December 2012 quarter, while unemployment forecasts are 5.11% for April 2012, 5.19% for May 2012 and 5.16% for June 2012. The country’s Cash Rate is not expected to be changed by the end of the year. The battle of the board for the chairmanship of New Zealand’s largest company, Fonterra, is set to take place in 2012, with John Wilson the most likely successor with a 48%. Colin Armer currently sits in second on a 34% probability, while incumbent Sir Henry Van Der Heyden is in third and has only a 6% chance. Trading today has seen a lift in John Monaghan’s changes, rising to 5%. Forecast Fonterra payouts have remained broadly steady for the next four years with the payout now expected to be NZ$6.74 per kilogram of milk solids in 2011/12 (up 1c compared with last week), NZ$5.79 in 2012/13 (steady), NZ$7.28 in 2013/14 (steady), and remains steady at NZ$7.50 in 2014/15. New stock has been launched for the Fonterra payout in 2015/16, and iPredict will report on it once trading volumes have increased. 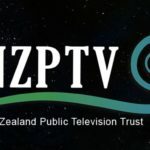 New Zealand growth prospects have deteriorated slightly this week with growth expected to be 0.3% for the March 2012 quarter (down from 0.4%), 0.6% for the June 2012 quarter (steady), 0.5% for the September 2012 quarter(steady) and 0.5% for the December 2012 quarter (steady). Unemployment figures have remained unchanged this week, with unemployment expected to be 6.5% for the June 2012 quarter , 6.4% for the September 2012 quarter and 6.2% for the December 2012 quarter. Inflationary expectations have remained unchanged over the past week. Inflation is forecast to be 1.3% for the June 2012 quarter, 1.4% for the September 2012 quarter, and 1.6% for the December 2012 quarter. Petrol prices are expected to fall as 91 unleaded petrol is expected to cost $2.19 per litre at the end of May and $2.16 at the end of June. Overall, the Reserve Bank of New Zealand is not expected to change the Official Cash Rate (OCR) this year but there is a growing probability of 37% that it will cut the OCR by year’s end. Current account deficit expectations are 4.56% to March 2012, 5.05% in June 2012, 5.45% in September 2012, 5.88% to December 2012 and 5.96% to March 2013. There is a 53% probability New Zealand and South Korea will sign a Free Trade Agreement before 1 December 2014. Contracts have been extended out to December 2013 for GDP growth, unemployment, Inflation, and the current account deficit. Commentary on these stocks will be included as trading increases on the NZ Economics page. In the United States, Mitt Romney is now expected to win all remaining Republican Caucuses and Primaries, and has a 97% probability of being his party’s candidate for President. Barack Obama has a 99% probability of being the Democrat’s nominee. On election day, the Democrats are expected to win California, Colorado, Connecticut, Delaware, District of Columbia, Florida, Hawaii, Illinois, Iowa, Maine (state), Maine’s Congressional District 1, Maine’s Congressional District 2, Maryland, Massachusetts, Michigan, Minnesota, Nevada, New Hampshire, New Jersey, New Mexico, New York, Ohio, Oregon, Pennsylvania, Rhode Island, Vermont, Washington, and Wisconsin. The Republicans are expected to win Alabama, Alaska, Arizona, Arkansas, Georgia, Idaho, Indiana, Kansas, Kentucky, Louisiana, Mississippi, Missouri, Montana, Nebraska (state), Nebraska’s Congressional District 1, Nebraska’s Congressional District 2, Nebraska’s Congressional District 3, North Carolina, North Dakota, Oklahoma, South Carolina, South Dakota, Tennessee, Texas, Utah, Virginia, West Virginia, and Wyoming. Across the country, the Democrats are expected to win 55% of the share of the Electoral College vote, and 52% of the popular vote, with the Republicans winning 45% of the Electoral College vote and 43% of the popular vote. President Obama has a 68% probability of being re-elected despite trading that suggests that the US Supreme Court will rule his signature health reform policy, the individual mandate, unconstitutional. In China, Wen Jiabao is expected to remain Premier of the People’s Republic through to 1 January 2013. Yang Jiechi is expected to remain Minister of Foreign Affairs and Chen Deming to remain Commerce and Trade Minister. However, Zhou Xiaochuan is expected to be replaced as Governor of the People’s Bank of China by year’s end, as is Xie Xuren as Minister of Finance. In the Middle East, Syrian dictator Bashar al-Assad is expected to remain in power until at least 1 December 2012 while the probability Israel will launch an airstrike against Iran in 2012 is steady at 28%. An indexed contract, currently offering trades from $0.59, asks how great the maximum 21st Century sea-level rise will be according to the next assessment report by the United Nations’ Intergovernmental Panel on Climate Change. The market forecasts there is a 94% probability that the scenarios will be greater than 50cm, but only a 47% probability it will be greater than 55cm. Stocks have recently been launched forecasting the results of the NZ MMP Review. Early trading suggests that the proposal paper will recommend a party vote threshold of 4% will be required, against the current 5%. There is only 22% probability there will be a prohibition on dual candidacy of both the party list and the electorate seat, and a 37% probability the proposal paper will recommend list MPs should not be allowed to stand in by-elections. New stock launched asks traders to forecasts who will be Trans Tasman’s CEO and Department of the Year. Early trading suggests that neither of iPredict’s shortlists will be selected, with “other” the most highly valued for both categories. No Commission of Inquiry is expected into the 2007 police raids on suspected terror activities in the Urewera district. John Banks is now looking secure as a Minister, and is not expected to be charged with an offence over the Dotcom scandal, however with a by-election now forecast in the Epsom electorate in 2012, Mr Banks’s political revival looks short lived. After recent media speculation, the “split” purchasing age of alcohol looks likely to be introduced as a result of the upcoming Alcohol Reform Bill with 77% probability. Other options including increasing the age to 20, and maintaining it at 18 look unlikely at 19% and 8% respectively. Pengxin Group’s bid for Crafar farms has been pushed back, and is not predicted to become unconditional before at least 25 August 2012, new stock has been launched forecasting to 29 September 2012. SkyCity is now expected to be formally announced before 1 August 2012, traders predict the government to allow SkyCity to have 400 or more pokies. iPredict also suggests that of the Bridgecorp directors not yet sentenced, Rob Roest, will receive 5 years, and Peter Steigrad 3 years 4 months sentances. The ACC Scandal appears set to have run out of steam. iPredict correctly forecast that Minister Judith Collins would not file defamation proceedings against Trevor Mallard or Andrew Little by last Saturday. The market is now forecasting that whoever leaked the Boag email will not be found, that neither the PM or the police will launch an investigation into the scandal. Judith Collins is still expected to be a Minister. By 1 June 2012. Efforts by the US Government to extradite Kim Dotcom from New Zealand are not expected to succeed until 2014 at the earliest, while the Swedish Government is also expected to face problems with extradition in its case against Wikileaks founder Julian Assange who is not expected to head for Sweden by July. The market predicts that both an employee of the Ports of Auckland Ltd (other than Richard Pearson, Rob Campbell, Wayne Thompson or Tony Gibson) and a contractor working for the port will be found to have leaked Cecil Walker’s details to blogger Whaleoil. Despite recent media, early trading suggests that a Bill imposing plain packaging on cigarettes will not be given Royal Assent by 1 January 2012, though it could be implemented by 2014. Georgie Pie still looks no closer to being re-introduced in New Zealand. There is only a 24% probability it will be re-launched in New Zealand by Christmas 2012, a 34% probability that it will be re-launched by Christmas 2013 and a 43% probability it will be re-launched by Christmas 2014. Excise duties are expected to be increased on tobacco in 2012/13, although the market now suggests that alcohol and petrol excise won’t be increased. At MFAT, John Allen looks secure in his role with an 80% chance that he will stay on as CEO. However early trading on MFAT appropriations for 2012/13, suggests there could be cuts of more than 5.00%. Traders now believe that the New Zealand Police will experience cuts in their appropriations for the 2012/13 budget. The Defence Force isn’t expected to announce an outsourcing of their payroll administration before 2013. 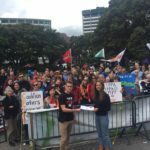 The Auckland Council is no longer expected to add a new bin for glass collection, and the market doesn’t believe there will be an increase in the waste levy rate. Party vote forecasts for the next New Zealand General Election are unchanged this week: National 42.6% ; Labour 33.6%; Greens 10.0%; NZ First 5.1%; Conservative 3.1%; Act 1.5%; Maori Party 1.4%; Mana Party 1.3%; and UnitedFuture 0.9%. 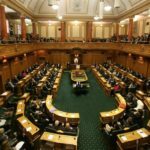 The Maori Party are expected to win two electorate seats, the Mana Party one seat, and neither Act nor UnitedFuture are expected to win any electorate seats. Based on these results, Parliament would consist of: National 54 MPs; Labour 43 MPs; the Greens 13 MPs; New Zealand First 6 MPs; the Maori and the Mana Party 2 MPs each. There would be 120 MPs, requiring 61 to govern. The National Party would have 54 MPs while the Labour/Green/Mana partnership would have 58 MPs, making Winston Peters, with his 7 MPs the kingmaker in the next Government. With the market now expecting a National Prime Minister after the 2014 General Election, it appears Winston Peters will do a deal with National as the market forecasts that on balance, NZ First would use its position to support a National-led government. iPredict is owned by Victoria University of Wellington. Details on the company and its stocks can be found at www.ipredict.co.nz. The weekly snapshot is taken at a random time each week. This week’s was taken on the morning of Tuesday 15 May.